Attack Varies Attack Multiplier ?? 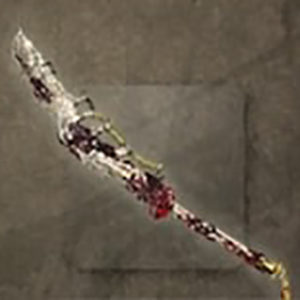 Mijinmaru is an Odachi in Nioh. "An odachi owned by Minamoto—no—Yoshinaka. Together with "Ryu—Oh—Saku no Choto" and "Kumo—otoshi," it is viewed as one of Yoshinaka's Three Treasures. Its name comes from its ability to smash any object into several fragments ("mijin"), and it was believed that there was nothing through which it could not cut. It is said that Yoshinaka offered this sword to the shrine at Hakone Gongen when brokering peace with Minamoto—no—Yoritomo, where it was eventually taken by the Soga brothers to aid them in their quest for vengeance against their father's killer, Kudo Suketsune. After the brothers exacted their revenge, the sword was returned to Hakone Gongen by Yoritomo. "